Do you believe in luck? Do you carry a lucky charm or a symbolic talisman to ward off evil and bring you good fortune? Many people do. Cultures around the world have developed signs and symbols that are believed to be lucky. Other symbols are thought to grant wishes or even heal the sick. There are also symbols for warding off evil and offering protection from curses. Good luck symbols come in many shapes, sizes, and forms. There are signs of good (or bad) luck in nature, including plants, animals, and insects. 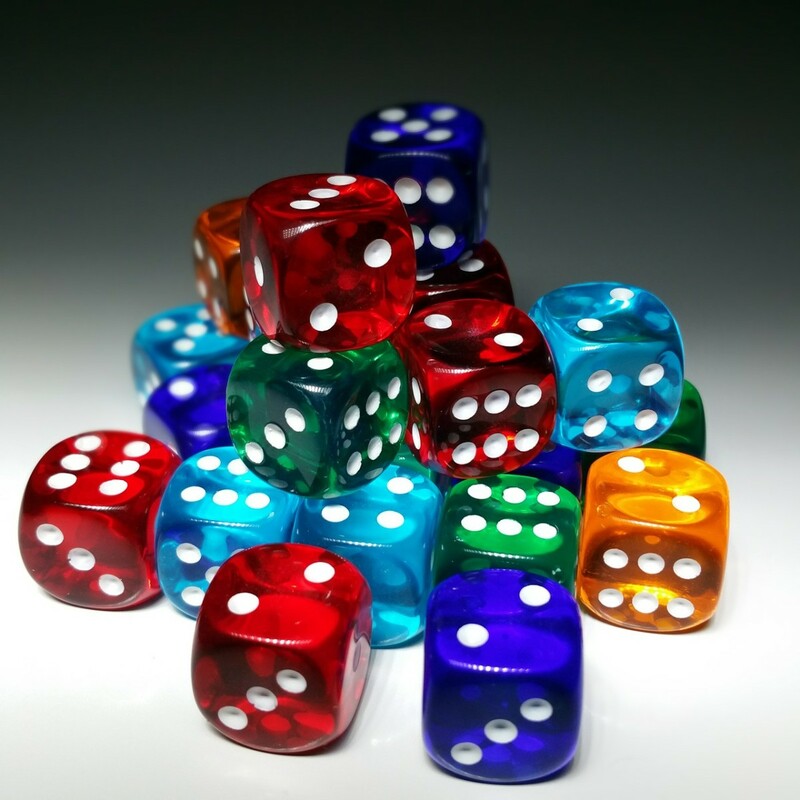 Many cultures believe that there are lucky objects, numbers, symbols, and gems. Here are the most popular signs of luck and good fortune from around the world. I have tried to capture the range of lucky symbols from around the world. Enjoy in good luck! Acorns and their bearers, oak trees, bring good fortune according to Norse folklore. The Vikings associated oak trees with Thor, the god who created thunder and lightning with his great anvil and hammer. Because the tree attracted lightning, it was sacred to Thor. The Vikings believed that the fruit of the oak tree, the acorn, was spared Thor's wrath, so Vikings placed a lone acorn on their windowsills to protect their houses from lightning. Rainbows are mentioned n the Old Testament. 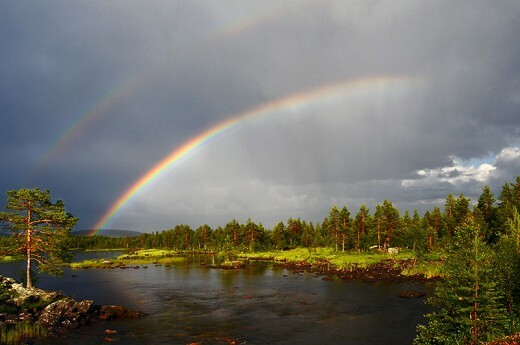 God created a rainbow after the flood as a sign that the earth would never be destroyed by flood again. Irish leprechauns are said to hide their gold at the end of rainbows, though we all know that a rainbow's end is impossible to find! Eggs are powerful symbols of fertility, purity, and rebirth in traditional folk religion. They are used in magical rituals to promote fertility and restore virility, look into the future, bring good weather, encourage the growth of crops, protect both cattle and children against misfortune, and ward off the "evil eye." In England, a gift of a white egg is considered lucky, but a brown egg is unlucky. Crickets on the hearth have been a sign of good household luck for thousands of years. This belief could stem from prehistoric times, when a cricket's chirp provided a kind of companionship. In China and other Asian countries, cricket are seen as watchdogs: At any sign of danger, the chirping will stop. In the Far East as well as across Europe, it is considered very bad luck to kill a cricket, even by accident. 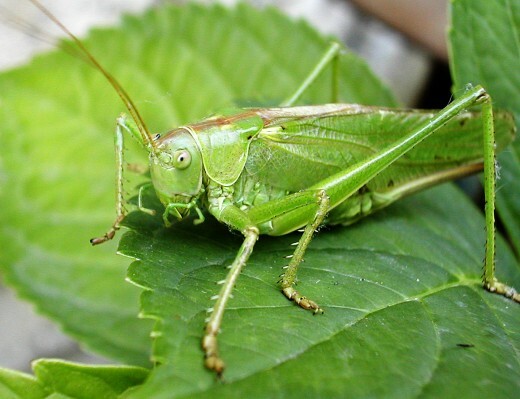 Almost every Native American tribe believed that crickets bring good luck and that imitating its chirp was disrespectful. Images of crickets appear on charms and amulets, particularly those intended to ward off the "evil eye," in ancient Middle Eastern and European cultures. Ladybugs are considered a harbinger of good luck and prosperity. A ladybug is said to have the power to free one of day-to-day problems. Wearing a ladybug amulet or having a live one land on you will brighten your day, give you patience with those around you, and most importantly, lessen your burdens. If a ladybug lands on you when you are ill, it will take the illness away. If a ladybug lands on your hand and then flies away, it is said that there will be good weather on the following Sunday. Killing a ladybug is considered bad luck. Regarding ladybug spots: If a ladybug lands on a recently married woman's hand, the number of dots on its back is the number of children she will have. The number of spots on a ladybug can also indicate the number of happy months that are ahead. Folklore also suggests that if you catch a ladybug in your home, you will find the same number of dollars that are on the ladybug's back. Dragonflies are another lucky insect. As a creature of the wind, the dragonfly represents change. As a creature of the water, they represent the subconscious, or "dream" state. Other symbolic meanings associated with dragonflies are prosperity, strength, courage, peace, harmony, and purity. Scarabs date back to Ancient Egypt, where they were considered good luck beetles. As a symbol of the rising sun and a protector from evil, the scarab is also a symbol of rebirth, regeneration, and transformation. Dolphins are considered lucky in many different cultures, including the Ancient cultures of Greece, Sumer, Egypt, and Rome. For Christians and Native Americans, the dolphin is a symbol of protection and its image is said to bring good luck. Ancient sailors who spent months or even years at sea found the sight of dolphins swimming around their ships to be the first sign that land was near. Pigs are symbols of wealth, good fortune, and prosperity. There is a German saying: Schwein gehabt, literally "had pig" but idiomatically, "good luck is at hand." Chinese and European cultures believe that charms in the shape of pigs have the power to bring good luck, as they are a symbol of riches and wealth. In Chinese mythology the pig is a symbol of honesty, tolerance, initiative and diligence. Tortoises are considered a good luck symbol in the Feng-Shui system of thought. They are also one of the four sacred animals, along with the dragon, unicorn, and phoenix. For more about Feng Shui symbols, read this article. Turtles are believed to have power to ward off bad magic. A turtle symbolizes the primal mother and Mother Earth. Turtles are also said to symbolize longevity, hope, and long life. 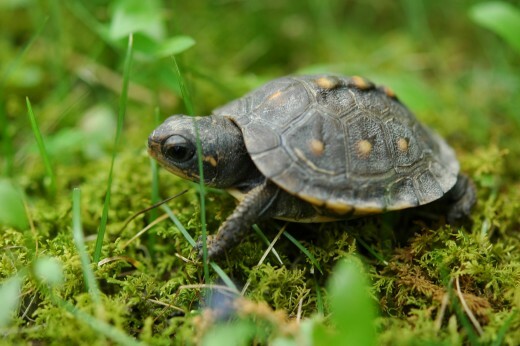 Turtles are said to be a link between heaven and earth. Elephants symbolize overcoming death. Elephants are good luck according to Feng Shui principles. The Ganeshsa, a Hindu deity with an elephant's head, is the Hindu god of luck. Elephant figurines on shelves or by doorways are said to ensure longevity and luck. Elephants are also symbols of wisdom, power, loyalty, intelligence, strength, and solitude. Red Bats are symbols of long life in China. Amulets with the image of a red bat bring happiness. The red bat is thought to ward off evil. Five red bats represent the "five good fortunes" of health, longevity, love, wealth, and virtue. Tigers are considered lucky in Chinese astrology. The Tiger protects against certain evils, including theft and fire. Frogs are symbols of prosperity, wealth, friendship, and abundance in many cultures. In other cultures they symbolize fertility. In the Native American culture of the Southwestern United States, the frog carries a piece of wood in its mouth because the Mojave people believe frogs brought fire to humans. For the ancient Romans, the frog was believed to bring good luck to one's home. Native Aborigines of Australia believe that frogs brought the thunder and rain. Frogs are said to be effective in speeding up recovery from disease. Among the ancient Egyptians and Greeks, frogs symbolized inspiration and fertility. In ancient Egypt, Hekt, the frog goddess, protected newborn babies, hence frogs were symbols of fertility and birth. The frog is also said to attract true friends and to help find long-lasting love. Birds, including cranes, eagles, and falcons, are powerful luck symbols. 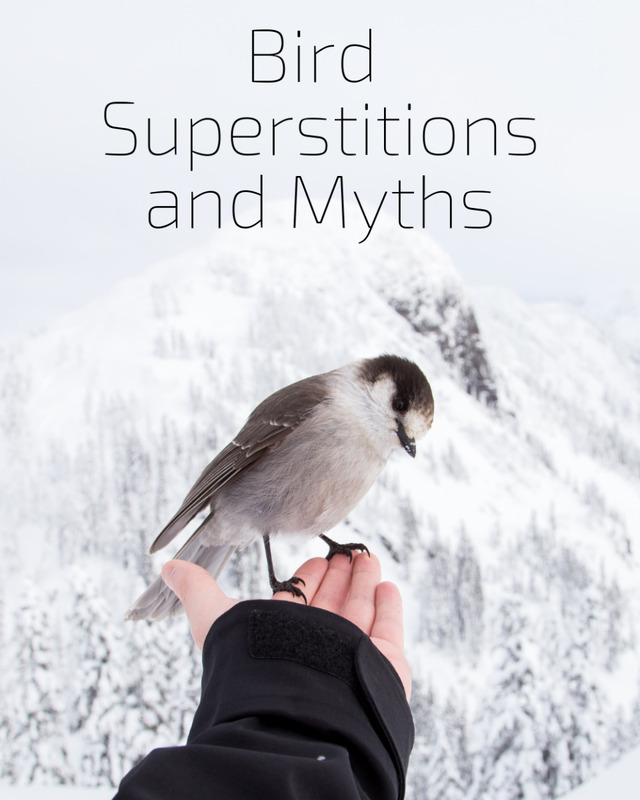 For more about bird symbolism, read this article. Some specific animal body parts are also thought to be lucky. A hind rabbit's foot is a good luck symbol. Because rabbits reproduce abundantly, rabbits' feet are said to enhance fertility. When the rabbit's foot is worn by a man, he will sire a child. When worn by a woman, she will become pregnant. Alligator teeth are believed in Africa to bring luck to gamblers. Four-leaf clover is popular in Western cultures as symbols of luck, probably due to its association with St. Patrick's Day. Four-leaf clovers do exist, they just are not as common as the three-leaf variety. If you find one, it's considered good luck. 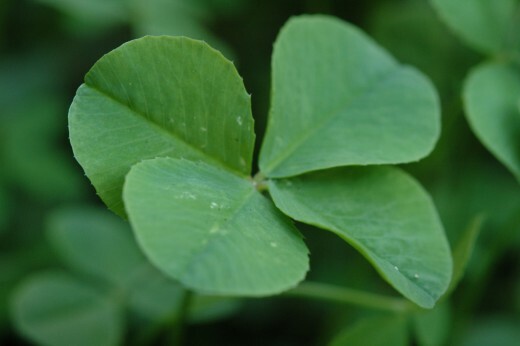 Legend goes that when Eve had to leave paradise she took a four-leaf clover along for good luck. Lucky bamboo, or “friendship bamboo,” (actually a Dracaenaspecies, in the asparagus family) is a luck-bringing gift. This plant grows in the tropical rainforests of Southeast Asia and Africa. Feng Shui practitioners believe that placing a bamboo plant on the east side of a room will improve the flow of energy or "chi." Dream catchers, from Native American culture, are considered good luck because they catch the negative images from dreams. See the Legend of Nokomis (below). Red lanterns are a symbol of luck in the Chinese culture. Horseshoes symbolize good luck, power over evil, good fortune, and fertility. Horseshoes are associated with a horse's strength and dependability. In an upright position, it is also symbolic of the moon. Pointing downwards, it is symbolic of the womb. To the Greeks, it symbolized the crescent moon, which was regarded as a symbol of fertility. A horseshoe protects one's house and land, keeping strangers away. 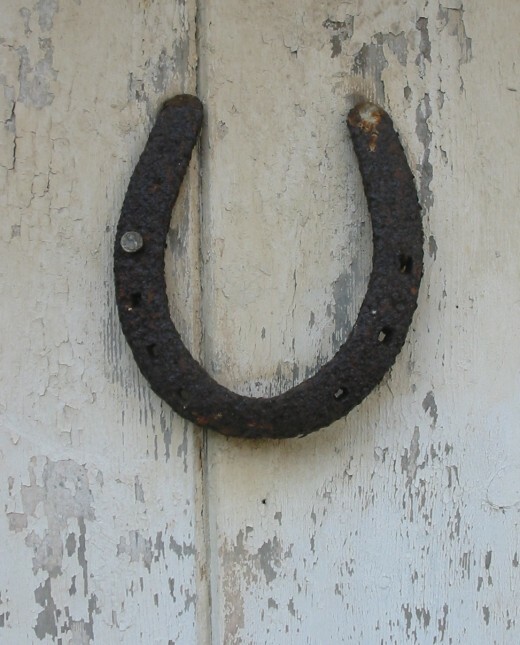 When a horseshoe is up on the wall or above a doorway, the "U" shape will hold good luck inside forever. This tradition may stem from the 10th century legend of Saint Dunstan, who trapped the devil using a horseshoe. From that point on, the devil would never enter a home adorned with a horseshoe over the door. Some legends say that an upward-pointing horseshoe gathers luck, while a downward-pointing horseshoe showers you with luck. Coins are lucky in many ways. There is a saying: "See a penny, pick it up and all day long you'll have good luck. Leave it there and you'll despair." Some take that idea further, and believe that if the coin is face down then it's best to leave it on the ground. Coins that are bent or have holes in them are luckiest of all, especially if they turn up as change after making a purchase. The luck of such coins is enhanced if they are carried in a left pocket or worn around the neck. A pot of gold is what you will find at the end of a rainbow, making it doubly lucky. You will have good luck if you keep a jar of pennies in the kitchen. The first coin you receive each day should be placed in an otherwise empty pocket and it will attract more coins. Coins bring good luck according to Feng Shui principles. Some say that a coin minted in a leap year will bring good fortune. Many people consider it lucky to carry a coin minted in their birth date. If you get pennies as change on a Monday, you will have good luck all week long. A coin in a new jacket, handbag, or wallet will bring good luck. A spider was quietly spinning his web in his own space. It was beside the sleeping space of Nokomis, the grandmother. Each day, Nokomis watched the spider at work, quietly spinning away. One day as she was watching him, her grandson came in. "Nokomis-iya!" he shouted, glancing at the spider. He stomped over to the spider, picked up a shoe and went to hit it. "No-keegwa," the old lady whispered, "don't hurt him." "Nokomis, why do you protect the spider" asked the little boy. The old lady smiled, but did not answer. When the boy left, the spider went to the old woman and thanked her for saving his life. He said to her, "For many days you have watched me spin and weave my web. You have admired my work. In return for saving my life, I will give you a gift." He smiled his special spider smile and moved away, spinning as he went. Soon the moon glistened on a magical silvery web moving gently in the window. "See how I spin," he said. "See and learn, for each web will snare bad dreams. Only good dreams will go through the small hole. This is my gift to you. Use it so that only good dreams will be remembered. The bad dreams will become hopelessly entangled in the web." What Do Lucky Shapes and Objects Mean? 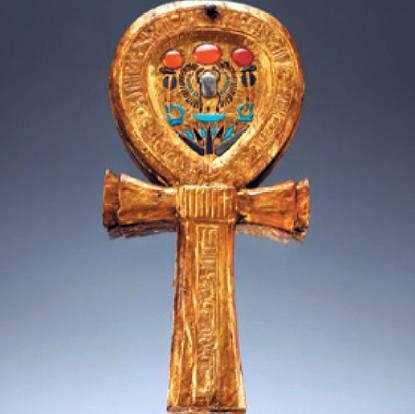 An ankh is a symbol of eternal life. It comes to us from ancient Egypt, where it was an indispensable lucky charm for the Pharaohs. The gods are often seen holding an ankh to someone's lips. This was considered to be an offering of "the breath of life" that is needed in the afterlife. An axe can bring success. Archaeologists have unearthed talismans in the shape of an axe head in all parts of the world. They usually have holes in them, indicating that they were worn around the neck. Ancient art from the Far East, pre-Columbian America, the Mediterranean, and Africa frequently depicts a double-bladed axe to indicate power. Circles are one of mankind's oldest symbols of good fortune. They stand for eternity and are signs of completeness, perfection, and wholeness. The circle has given us many kinds of lucky symbols, including rings of every description and the circular designs of Amish hex signs, not to mention the wreaths we hang on our doors at Christmas time. Crescents are among the most powerful of all lucky symbols. The crescent is especially lucky for young children and their mothers. In ancient Egypt, the crescent moon was the symbol of Isis, the mother of the gods. As its symbolism spread throughout the world, it eventually became a symbol of Paradise, when represented with a star. It is particularly significant in Islam. The cross has come to be a symbol of Christianity, but it was both a religious and lucky sign for centuries before the Christian era. It has been found in parts of the world the message of Christianity never reached. In most pagan religions, the cross represents the tree of life. In some ancient cultures, the crosspiece intersecting the upright piece, represented a ladder that helped a worshiper to reach God. In other cultures, the upright piece pointed the way to heaven and the crosspiece represented earthly influences. The hand is a powerful symbol of good luck in nearly every Mediterranean culture. In Muslim countries, the hand is made with the thumb and fingers outstretched in honor of Fatima, the favorite daughter of the prophet Mohammad. Fatima was one of only three women worthy of entering heaven. The thumb represents the prophet himself, the first finger represents Fatima, the middle finger her husband, and the others her two sons. The ancient Etruscans and Greeks wore lucky amulets representing a fist with the thumb tucked beneath the fingers. Similar charms, with the index finger extended, were believed to have power to ward off the evil eye. 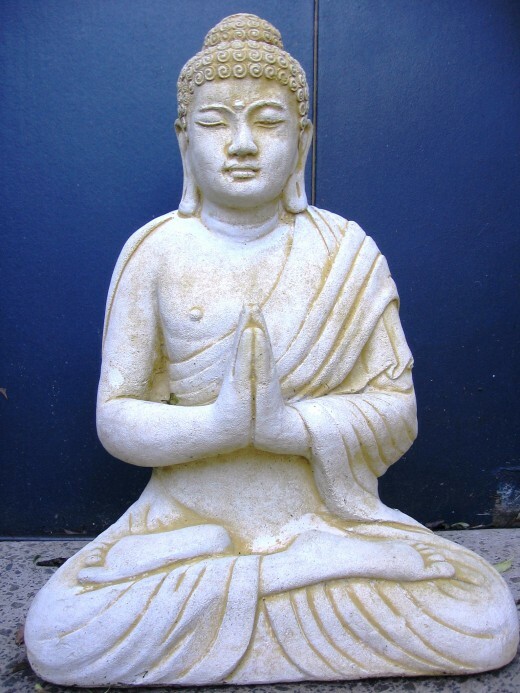 Sometimes a simple hand gesture encourages good luck or helps ward off bad luck. In many countries, but especially in Italy, the evil eye is thwarted with the so-called "devil's horn:" the fist clenched with the index and little fingers outstretched. For more about lucky symbols, including the hand, read this article. The heart is seen as a representation of love and wisdom in Christian tradition. In Egypt, the heart is seen as the center of our psychic energy and is thought to have power over the influences of black magic. In Islam, the heart is where understanding takes place. The horn signifies strength, power, and abundance. In ancient Greek and Roman mythology, the horn represented the male phallus. Because of the horn's curved form, it is equally effective for both male and female as a sexual symbol. Sometimes called the horn of plenty, this charm signifies future wealth and prosperity. Like crescents, which they resemble, charms in the form of animal horns are believed to have great power over the evil eye. A key is among the most important symbols of luck. It is also one of the oldest of charms. A key given as a gift between lovers is considered a symbol of unlocking the door to the heart. It is believed that the giver will be lucky in love. 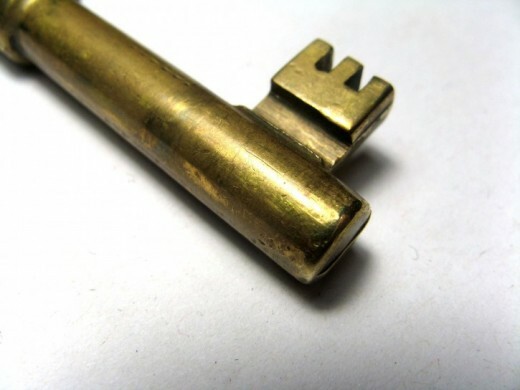 The Greeks and Romans believed keys represented the "Key of Life," which had the power to unlock the door through which prayers reached the gods. It was also used to promote remembrance of things past and foresight for things to come. The ancients attached special significance to keys made of silver, the metal sacred to the goddess Diana. She was the protector of doorways and thresholds, as well as the special guardian of mothers-to-be. In Japanese culture, three keys tied together are considered a powerful lucky charm. They enable the wearer to unlock the doors that lead to love, health, and wealth. According to the gypsies of Eastern Europe, a door key with a metal ring attached will ensure a good night's sleep, if it is hung upside down over the bed. It can also prevent nightmares. Ladders have been considered lucky symbols for centuries. The Egyptians usually placed them in their tombs to help the souls of the dead climb heavenward. They also carried ladder charms, to help them avoid earthly temptation. Ladders are unlucky when they are leaned against a wall to form a triangle with the ground. The triangle's three sides are said by some to represent the basic family unit—father, mother, and child—and by others, the Holy Trinity—Father, Son, and Holy Spirit. Passing through the triangle is thought to violate the unity of the sacred unit. There is an antidote for walking under a ladder, of course. If you should unwittingly wander under a ladder, you can save yourself by crossing your fingers and spitting three times through the ladder's rungs. Triangles are the strongest form for structures. Practitioners of ancient religions also found mystical significance in triangles and fashioned charms and amulets in that shape. Triangles were thought to represent the cycle of life—birth, maturity, and death—and as such they symbolized harmony between humans and their gods. It was considered a sacrilege to break its perfect shape. The ancient Egyptians used triangles when they created the great pyramids, which many today regard as symbols of good luck, even though they are monuments to the dead. The architects who designed them combined four triangles to symbolize the coming together of earthly and heavenly forces. Wheels represent eternity and are seen as a sign of good luck in many cultures. The Indian flag has Buddha's Wheel of Life as its centerpiece. It was said that Buddha himself drew such a wheel in a rice field to teach his followers that all creation is a series of causes and effects following each other like the turning of a wheel. Chimney sweeps are a sign of good luck, wealth and happiness. One legend from old England says that when King George was riding his horse in a royal procession, a dog suddenly ran from the crowd, barking and nipping at the King's horse. The horse reared, and to the horror of the crowd, almost threw the King. A lone figure, dressed in filthy rags, stepped into the road, caught the horse's halter, and calmed the animal, A chimney sweep had saved the King! Buddha charms or statue are thought to be lucky, especially if you rub the Buddha's belly. Kachinas represent native spirits to the Pueblo, Hopi, and Zuni nations of the American Southwest. Each doll is dressed in elaborate costume. Although regularly used in tribal ceremonies, these dolls are also used as playthings by children and displayed in homes and sacred places. It is believed that by inviting the spirit represented by the doll into one's family, luck will come to that family in the form of good harvests and protection from natural disasters. Saint Christopher is the patron saint of travelers. Catholic people often place a Saint Christopher medal in their car. The North Star, or Nautical Star, is seen as providing guidance, and it is a good luck symbol for sailors. The Star of Bethlehem guided the three wise men. In the Old Testament, the starry sky symbolized the numerous children of Abraham, and gave direction to the promised land. The Evil Eye wards off misfortune when worn as an amulet. Unlike other sources of good luck, whose resides in the possession of the object itself, the power of the evil eye amulet is to protect from the Evil Eye itself. The Number Seven is considered lucky by many different cultures and religions, In Christianity, seven represents self-sacrifice and higher virtue. It appears repeatedly in scripture, as the seven lamps of the temple, seven wise and seven foolish virgins, and Christ's feeding of the multitude with five loaves and two fishes. The early Christian church taught that belief in God brings seven gifts: wisdom, understanding, honor, glory, blessings, strength, and godliness. It is also said that the seventh son of a seventh son has the power to heal and that the seventh daughter of a seventh daughter has the gift if interpreting dreams. According to ancient Japanese mythology, there are also Seven Gods of Fortune, who deliver gifts to worthy people on the New Year. A wishing well is a place where you toss a coin (or another symbol of good luck) and make a wish. The ancients believed that a token gift to the gods would keep the wells from running dry. They also believed that the gods of the sea could be kept happy if a few coins were occasionally thrown their way as a tribute. A custom observed all over the world, says that if you look for your reflection in the water and then make a wish after throwing a coin into it, the wish will be granted. But when in Rome, remember that their sea gods will accept no less than three coins. A stray eyelash is seen as a wish maker, much like the wishbone. If a stray eyelash falls upon your cheek, place it on your finger, make a wish, then blow the eyelash away. 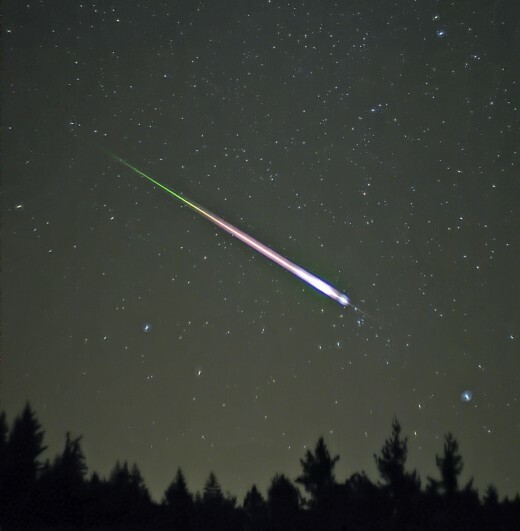 A falling star, or "shooting" star as it is sometimes called, grants the person lucky enough to see it, a secret wish. Sapphires have symbolized good luck since ancient times. The Greeks believed that wearing a sapphire invited the favor of the gods. In the ancient Middle East, this blue stone was believed to have supernatural powers. It is said to have been the centerpiece of King Solomon's ring.In India, sapphires bring health and wealth and in other cultures they are believed to repel spiders, protect virgins, and ward off envy. Sapphires are also the birthstone for the month of September, and so are particularly lucky for people born in that month. For more about lucky birthstones, read this article. 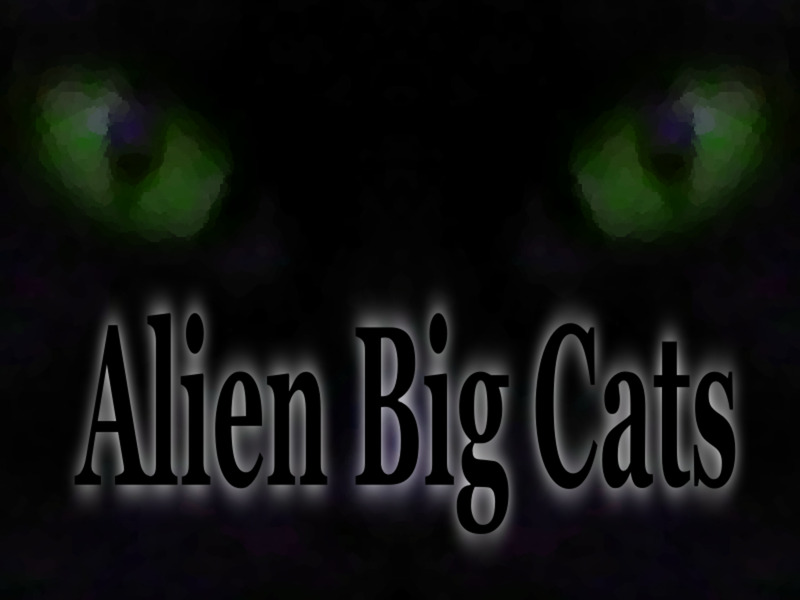 Cat's eye clears obstacles and helps the bearer to move ahead in life. It also wards off the Evil Eye, ghosts, spirits, and negative planetary influences. 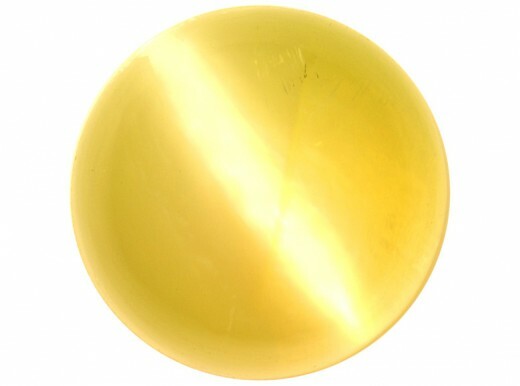 In India, it is thought that if one carries a cat's-eye stone, one's fortune will never diminish. Among gamblers, it is the good luck charm of choice. Cat's eye protects one from unforeseen losses in business and ensures financial stability by guarding the owner's wealth. Your Favorite Good Luck Sign or Symbol? 16 months ago from New York. USA . I can say is good luck with this wonderful lens. When it comes to lucky animal parts I note that it wasn't lucky for the rabbit or the raccoon or whatever the animal is. The horse was lucky that it didn't get this particular hot piece of metal nailed to it's foot. I do think some Numbers could be lucky. For instance if you go to a country where the number four is considered unlucky you could probably get the locals to give you everything with a four it it for free. And you might be the only one to pick lotto numbers with 4s in them so you would not have to share the jackpot if you won. So, what does symbolize Love? I think that loving symbol is something related to gem or stone, right? You got it wrong in your entry regarding Buddha as a lucky charm and the stuff about rubbing the belly of Buddha, as to my knowledge it's not Buddha but laughing Buddha (google it and see) who is completely different figure. Today I was surprised as i wiped our table with rug i saw 25 cent with face up and i saw also the cat's eye and there was a tarpauline with wheel symbol hanged to cover sun in our store i was surprised many customers eat in our restaurant or eatery and last night i dreamed a girl dressed skirt green color and i climbed up on the ladder. Today we have big gains in our business i can testify it is true the meaning of symbolism. Excellent Hub. Very Informative and interesting Information with vast resources. Visit www.reachmba.com for any information related to higher studies and other educational queries. 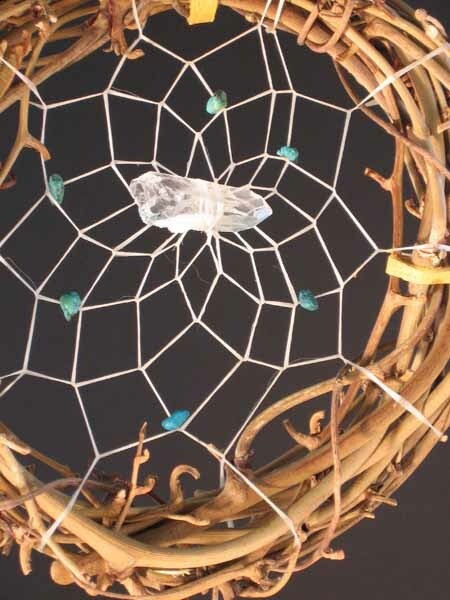 I love dream catchers and the mythology around them. Great article! Wow. There's so many good luck symbols out there. I always loved ladybugs, dolphins and the ankh. Now I know why... My mother's favorite animal was the elephant, since it was our family symbolic emblem as in traditions. I can go for some good luck this year. Thanks for sharing. I like dolphins. Does that count as good luck? I would ask for few more inputs about other symbols. Very interesting information, Thank you for sharing !! Nice lens, thanks for your sharing. Great, fun lens! Enjoyed it! Fun lens. Thank you for sharing! 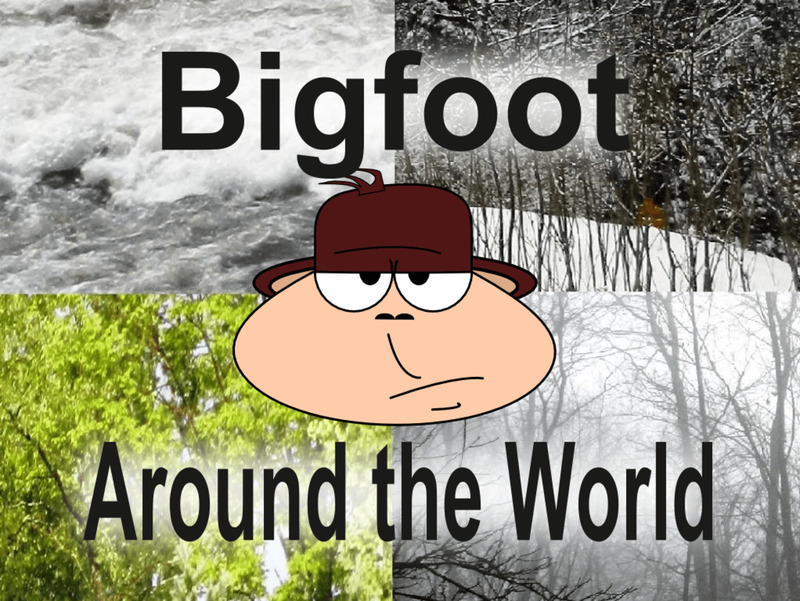 Very comprehensive, interesting and well-constructed lens. I actually found a four-leafed clover on a walk once, and do consider myself to be generally a fortunate person in life. Wonderful and interesting. Great lens. Great lens. I already knew about Rainbow, number 7 and a few more. I learnt about so much more. Thanks. All I can say is good luck with this wonderful lens. Great lens, lot of good work and very interesting information as to how the mind works to relate events or happenings to reminders or indicators. Which I just realized that I do the same thing. My greatest yearning it to be as close to God as I possibly can and I want to remain present in my awareness of him and his love. With an active life my mind has often wondered and that displeases me to I decided to make a small wooden cross, as I love woodworking, and that I would have this cross blessed, as I did this Easter Sunday, and then I would hang it in a place within my home where I passed most frequently and all this has been done. Still, I felt it wasn't enough and I needed a more direct reminder so what I have done is hang it low enough so that as I am passing by it lightly taps me on my head as a reminder. Every time that happens I love it and can only just smile. Like angeldrops, I don't believe in luck. But I believe you made a great lens! :) Awesome! Although I don't really believe we can help our luck, your lens was interesting. Good ways to bring fortune. Helpful lens. I have several symbols I consider lucky or good including dragonflies and clover. I never knew the rabbits foot meant you'd be "prolific"! Aside from being good luck charms, a lot of them look really lovely! A little bit of lucky shamrock for you and a happy St.Patrick's Day! thank you for sharing, goodluck. I liked the green cat's eye. I don't have a personal good luck symbol. I have a lucky pendant that I wear. It is so interesting to see all the luck enhancements you cover. Hard work still pays but without the luck factor you are limited. I keep a lucky coin and a lucky stone. I wear my lucky red earrings whenever I need some luck with my transactions. Though I am not that superstitious but this is a great way to imbibe positivity by thinking positively. Great lens and more power! Great lens. Lots of interesting info. A great list of good luck signs. I like them but I don't think I really believe in lucky charms. I think they make people more confident and that attracts the luck to them. Thank you!!! I needed to read this because I could sure use some good luck. A great - lens so much detail. We love the Indian Elephant, well we're mad about elephants in my house! I love this lens! I'm a strong believer in good luck charms. I've always considered anything with angel on it to be a good luck charm and have quite a few angel knick knacks around the house. I don't really know any of this is true but I do have three lucky bamboo in my house and I have it for a very long time now. I like the bamboo is because it is do easy to take care of. I have lucky bamboo tree on my desk. It very nice looking. I think lucky charms work for those who believe, you can also make your own luck, if you put your mind to it and be positive. New shiny coins are my fave. Beautiful lens. Love these Good luck signs. I don't really see myself as a very lucky person, maybe I just have the wrong attitude, anyway... Would have to say I'm probable a typical 'lucky number seven' guy if I had to choose. Still, lucky symbols are interesting though. There are so many! It will seem we all have a lucky charm in our house. I want more luck...this lens was a great find! I feel very lucky to have found your lens.You have captured so much information in your lens. I was really impressed with the detailed level of information. Have a wonderful day. Very interesting, a few surprises in terms of things considered lucky. Also surprised at things like pentagrams being absent. Good lens! Very interesting lens ... learnt something about the tortoise and turtle. What an informative lens! I loved learning about the different cultures and their good luck symbols. I learned some new things on this page - my favorite being the beliefs about acorns. Very cool lens! When I was a young boy, I developed a skill -- finding four-leave clovers. I would find them and press them inside a book and them give them to my girl friends. So, four-leaf clovers are certainly my favorite Good Luck charms. Thanks for a great lens, you lucky person you. My nanna's friend called Gonzalo. Well he just came back from India and he got a lot of necklaces, there was about 14 so I choose the elephants head! 15 minutes later he gave me another one I think it was a tortice or a turtle. So can some one tell me is that good or bad luck? The sapphire is my birthstone. I like that it's a lucky stone, too! My favorite is Four Leaf Clover but I newer found any .... hmm I wonder what that means, is it a bad thing:)? Nice lens, I really enjoyed reading it. Everyone needs all the luck one can have. I love the elephant for obvious reasons! Being a superstitious person who just traveled around the world, I really enjoyed this lens, even more than last time I was here. Blessed. Awesome lens. We could all use some luck in our lives. 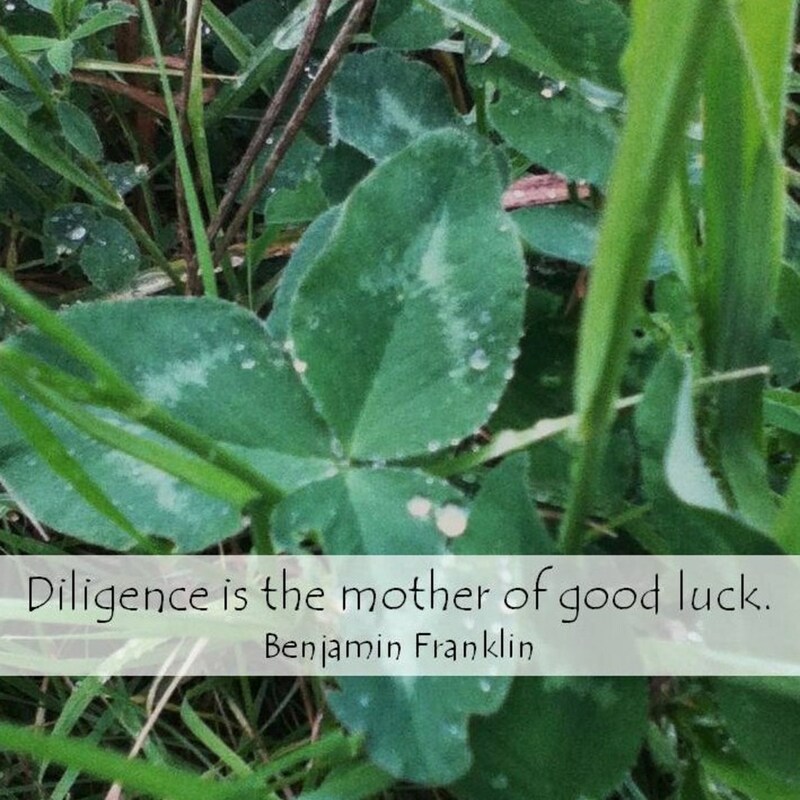 But keep in mind that in most instances, luck is preparation meets opportunity. You have a lot more control over your life than you might think. Create your own luck today. With so many good luck charms to carry around I might need a bigger handbag and pockets. Popping in with blessings for these lucky symbols! I love that good luck elephant for the home. Adding to my wish list! So many ways to get good luck! Great lens, thank you. I found your lens to be so interesting! Awesome lens! I have my lucky penny! Top of the mornin' to ya. What say you about me frosted lucky charms? PS. Forgive the cereal reference. Great job with the lens, I had lots of fun! Thanks for sharing, this is a great lens. The animal ones are really interesting. My grandmother used to keep a rabbits foot and a pigs tail in her handbag but I don't know if they brought her much luck!